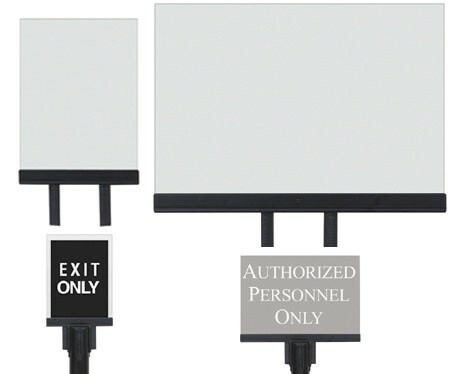 U.S. Bank acrylic sign holders for tape posts that fit two sizes: 8-1/2" x 11-1/2" and 14" x 11". Easily slide into tape post receivers enabling a post to quickly display important information. Black only, these holders accomodate paper and acrylic signs up to 1/4" thick. U.S. Bank acrylic sign holders for tape posts that fit two sizes: 8-1/2" x 11-1/2" and 14" x 11". Black only.